Los Angeles Football Club (LAFC) dropped their 2019 away kit from adidas on Saturday. 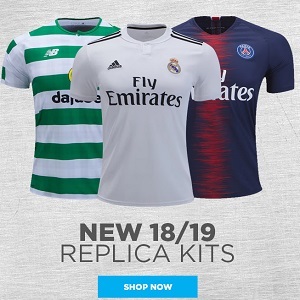 Called the Street by Steet jersey, the new shirt will be on sale at World Soccer Shop, Kitbag, Pro:Direct Soccer and UK Soccer Shop in authentic and replica versions. According to LAFC: The 2019 Street By Street jersey is inspired by the very materials and textures that make up the city of Los Angeles. Patterns and textures taken from the streets and avenues that connect the city, the recently unveiled jersey is an ode to the strength of our streets. The 2019 jock tag just above the lower hem of the jersey embodies the community spirit of the Club. Stitched into the neckline of the jersey, “Shoulder to Shoulder” is a tribute to the LAFC Supporters and their commitment to building the Club together. With internationals such as Carlos Vela (Mexico), Walker Zimmerman (USA) and Dejan Jakovic (Canada) on their roster, LAFC kick off their 2019 Major League Soccer season against Sporting KC on March 3rd.